On Thursday, the Indian selection committee the 15-member squad for the final three ODIs of the five-match series against Windies and there have been few changes in the squad as compared to the previous one. The veteran India pacer Mohammed Shami has been left out while ODI regulars Bhuvneshwar Kumar and Jasprit Bumrah returned back to the squad. 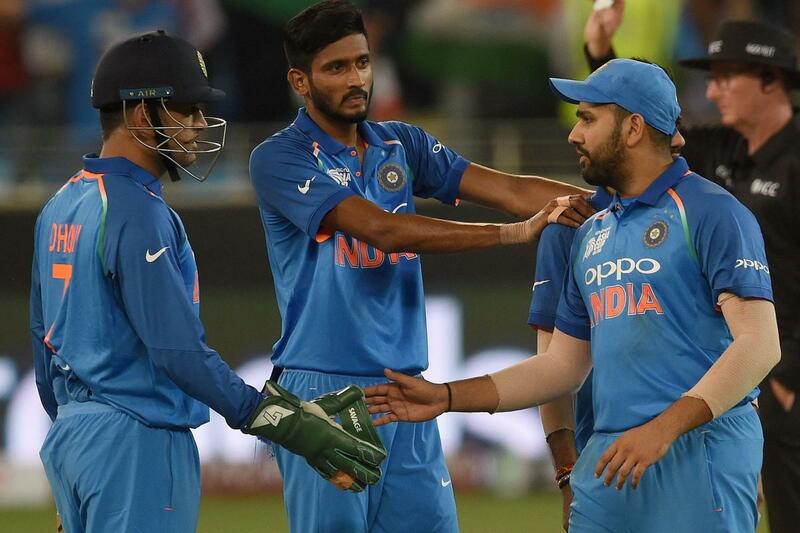 The return of Bhuvneshwar and Bumrah simply means that the Indian team management must be looking to make changes in the squad for the deciding third ODI which will be played in Pune. Although, there has been no update on Rishabh Pant, who got injured during the second ODI he informed his fans on Twitter that he is recovering fast and the Indian skipper, Virat Kohli must be looking to see more of the young lad got to bat a short interval of time in the Viag ODI. However, India does have a chance of trying out Manish Pandey at no.6, but they will also be looking to see more of the young left-arm pacer Khaleel Ahmed who impressed one and all during the Asia Cup. Either of Bhuvneshwar Kumar or Jasprit Bumrah will surely be coming back to the squad, by keeping the spin combination intact. With the come back of the Windies coach, Stuart Law, who served his ban, the Windies team will be benefited with his experience and expertise, but if he can turn around key moments for them remains to be seen. Also, with spinners unlikely to get much help, Windies might look to drop either of Devendra Bishoo or Ashley Nurse and play four pacers in the game. Team India: Rohit Sharma, Shikhar Dhawan, Virat Kohli, Ambati Rayudu, MS Dhoni, Rishabh Pant, Ravindra Jadeja, Bhuvneshwar Kumar, Kuldeep Yadav, Khaleel Ahmed, Jasprit Bumrah/ Yuzvendra Chahal.